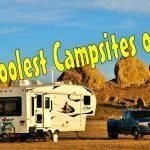 Each year I like to look back and pick out my favorite campsites visited. 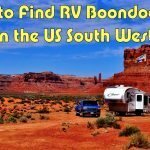 Some are full hookup RV resorts; some are state or national parks and others are dispersed boondocking with maybe a fire ring. One thing they all have in common is beautiful scenery. 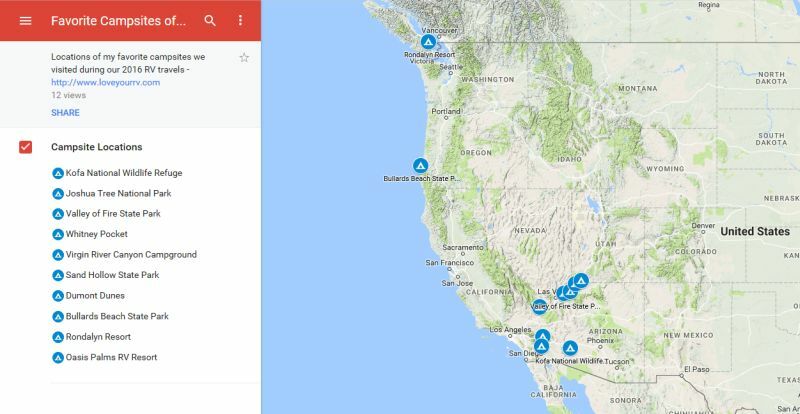 Most of this year’s locations were brand new to us. However, there are several that were so nice we just had to return. For more information, photos and videos just click the title or picture on each. 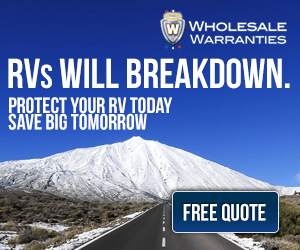 Early in the year after spending some time in the madness that is Quartzsite during its big RV show we needed to decompress. I knew there was a large National Wildlife Refuge called KOFA about a half hour trip to the south down HWY 95 towards Yuma. 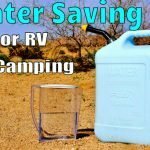 It offered free camping for up to 2 weeks. I wasn’t sure what the road in was like but thought we would give it a shot. Boy are we glad we did! The scenery turned out to be amazing! We camped a week not too far off of the highway, but once we explored more, we decided to go dump/refill the tanks and head back in deeper for a second stay. This time we tolerated the washboard gravel and drove the rig all the way in close to Palm Canyon. We found a spot in between vast forests of Cholla cactus, right close to the mountains. During February the temps started to rise dramatically, and it was time to head up higher. 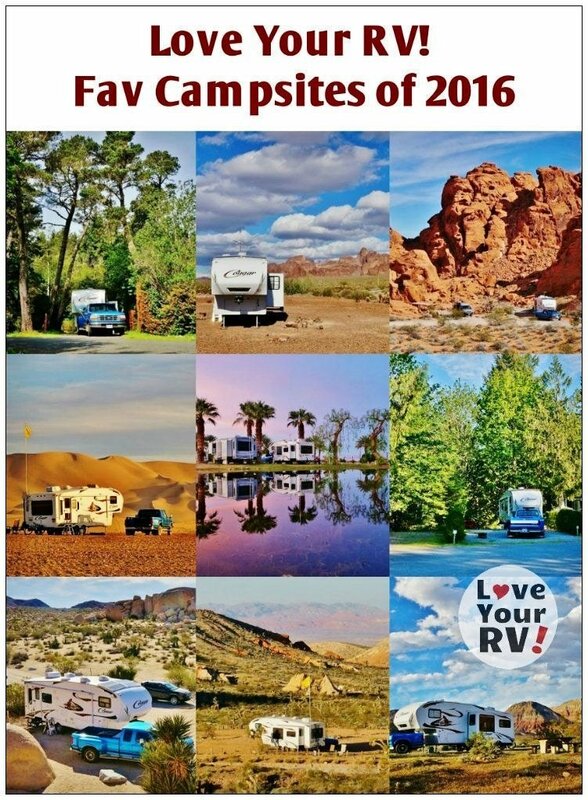 Anne and I loved Joshua Tree National Park and knew it would be a lot cooler there at its nearly 4000-foot elevation. We stayed at a small campground called Belle. There are only a few spaces large enough to shoehorn our rig into, but we managed to snag one by turning up early on the last day of the Presidents Day long weekend. We’ve visited Valley of Fire State Park on multiple occasions to hike among and photograph it’s visually striking colored sandstone formations. However, we’d never camped inside the park. I’d heard it was pretty spectacular though so we headed in with the trailer late February to check it out. Wow! What a cool spot! 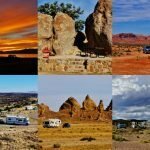 We camped in the massive red rock sandstone of the Arch Rock campground. A perfect base station to enjoy the rest of the park from. 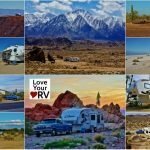 After Valley of Fire SP, we hitched up and pulled the Cougar fifth wheel up the 20 miles of rough and windy road to a small boondocking site called Whitney Pocket. We endured a fair share of shake rattle and roll, but the scenery was absolutely worth it. The colored hills in the far background make up of the Valley of Fire from whence we came. Whitney Pocket is part of the same geological band of sandstone, so it’s like a mini Valley of Fire. It offers greater solitude and freedom camp wise. Except on weekends be prepared for crowds of ATV and 4-wheelers to show up during daylight hours. 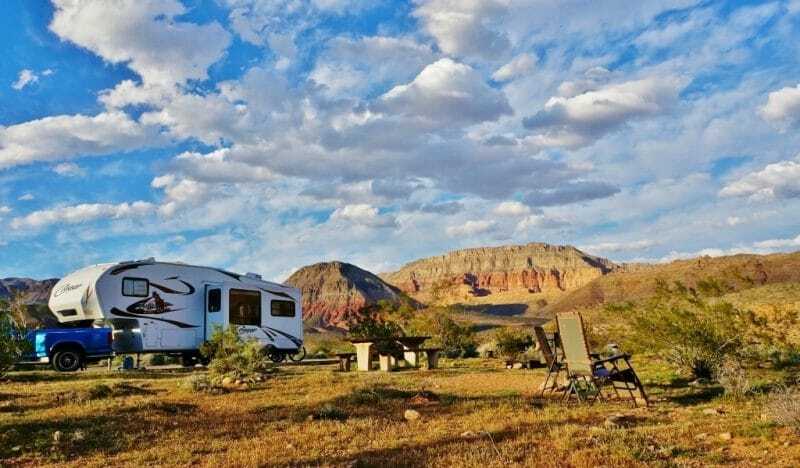 Next stop was another BLM campground in the Virgin River Canyon Recreation Area located smack in the middle of the Virgin River Gorge. Though a BLM site it does have some amenities like washrooms, garbage, and paved sites. With our America the Beautiful pass, the rate was 50% off and only four bucks a night! 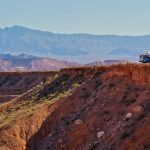 The views are simply to die for, and some great hikes lead right out of the campground into the surrounding desert and down along the Virgin River. 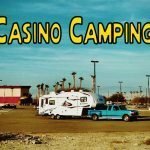 Although Interstate 15 is close by, you hardly hear it and makes the campground easily accessible. We visited in early March, and the temps were just about perfect. Just up the road a little past St. George, UT we settled in for a few days at Sand Hollow SP. Anne wanted to photograph a unique sandstone formation way up in the hills called Yant Flat aka Candy Cliffs. Sand Hollow looked like a good place to base ourselves while we explored it and the other local attractions. The campsites were deluxe with a panorama view to match. Fees weren’t bad at $28 a night. Soon April was closing in on us, and it was time to make our way west to the coast. 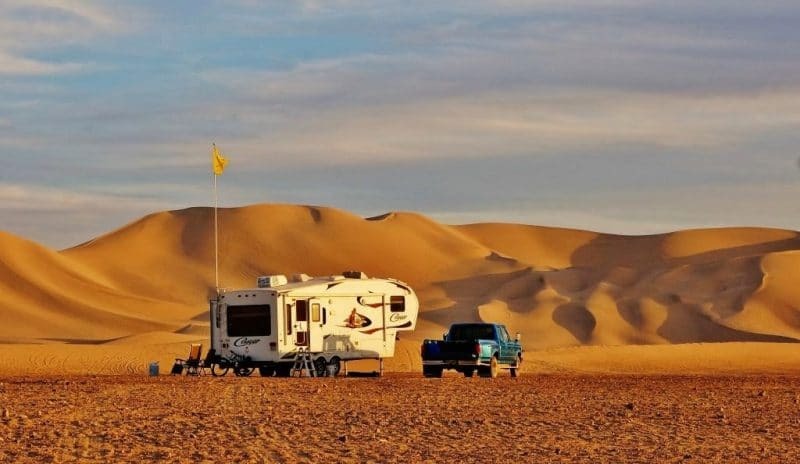 Along the way, the desert had one more camping treat for us called Dumont Dunes. I had wanted to check them out after seeing these massive dunes on the way out of Death Valley a few years ago. We timed our arrival after the Easter holidays hoping all the dune buggy crowds would have had their fill. Great plan, the area was almost empty. Camping was cheap at $30 bucks for a one week pass. Multiple gorgeous sunsets were enjoyed and even a rainstorm while hiking the dunes, a rarity I’m sure. 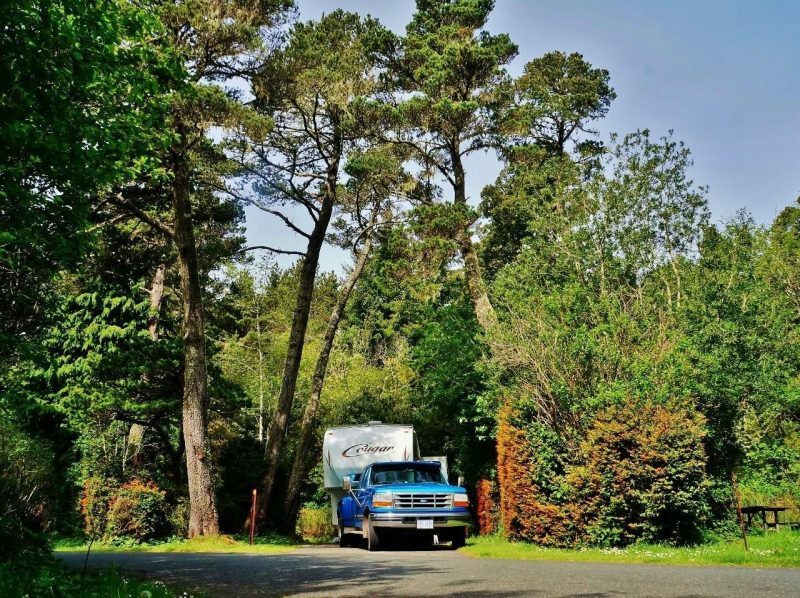 As we meandered our way up the Oregon coast in mid-April, a bit of a spring heat wave was happening. A forecast of temperatures in mid 70’s with plenty of sunshine lured us for a stop in Bandon. Bandon Beach is an all time fav with us. We stopped in for a 3-day visit in Bullards Beach State Park. Spring was in full force and after months of desert living the lush greenness was a welcome change. 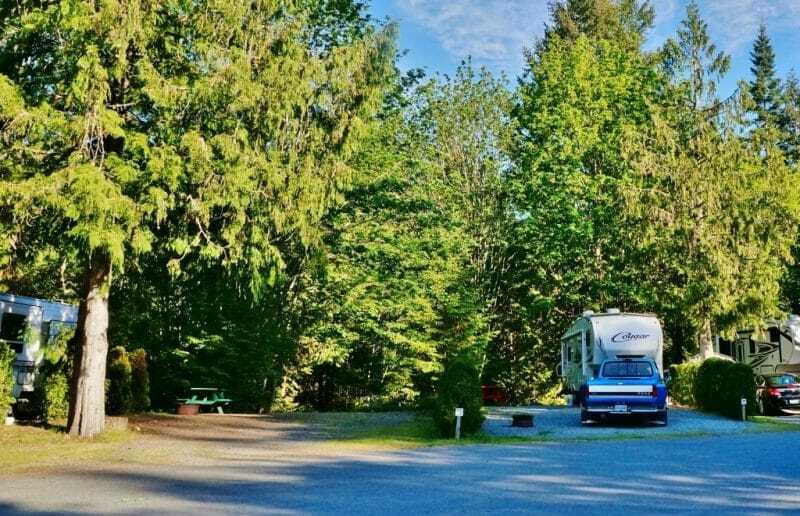 Back home on Vancouver Island in May saw us camped at a new to us RV resort called Rondalyn. I was graciously invited by the owners to come check it out and was impressed. Our campsite was nestled in the forest with a babbling creek in the rear. They have a nice big pool, a pitch and putt golf course and loads of hiking trails nearby. You feel like you are way off in the forest, but you are only minutes the main highway and the city of Nanaimo, BC. 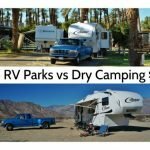 We are finishing off the year in a little RV park southeast of Palm Springs. 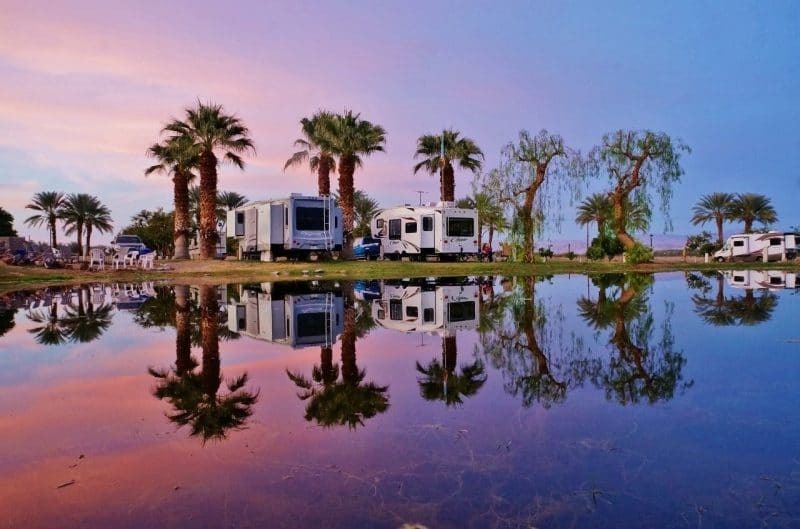 There is sometimes a smell from the Salton Sea and serious highway noise, but the upside of camping in a beautiful desert oasis is worth it. The sites have cement pads and grass all around, a bonus in the desert! There is a swimming pool, hot tub, games room, etc. The staff are super friendly and keep the place well manicured. Every evening folks gather around a communal fire for a happy hour.